Norman is a Diesel engine who often breaks down. 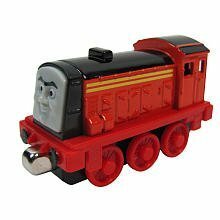 If he were fixed properly, he would show what a Really Useful Engine he is. He wants to be liked by all the engines so he does his part at the Dieselworks and follows all of his orders.